Leave the ordinary behind and escape to the Mediterranean. From salads to entrees, our food is prepared with love and care. 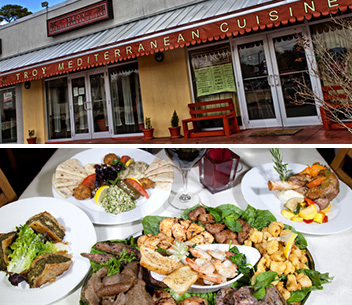 Come experience our great cuisine, our delicious drinks, and our Mediterranean atmosphere.